Shriners Healthcare for Children-Twin Cities has recently transitioned from a hospital model to an outpatient clinic format. With this care model transition also came a name change, as Shriners Hospitals for Children-Twin Cities is now called Shriners Healthcare for Children-Twin Cities. Following the national trend, many healthcare systems are evolving towards outpatient-oriented care and seeing a shift away from overnight inpatient care. This model change also creates a need for a different building design, and consequently there is no longer a need for the campus at 2025 East River Parkway, which has been listed for sale. 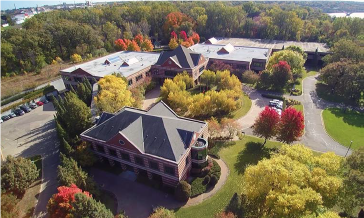 Florida-based Shriners Hospitals for Children has enlisted the brokerage services of Colliers International | Minneapolis-St. Paul (Colliers MSP) to help market the 10-acre site to potential buyers looking to optimize the asset. All clinic services will continue at the East River Parkway building while it is for sale until the clinic moves to a new Twin Cities location. Patients will continue to receive all outpatient services at the East River Parkway campus including physician visits, child life, radiology exams, rehabilitation, occupational and physical therapy, orthotics and prosthetics. Shriners Healthcare for Children-Twin Cities is currently developing a right-sized space for all clinic services and will relocate when the new location is ready. “Hundreds of thousands of children from the upper Midwest have been cared for at Shriners Healthcare for Children-Twin Cities and will continue to be cared for at our new location within the Twin Cities metro. No matter our location, all children will continue to receive care for their bones, joints and muscles regardless of their families’ ability to pay” Charlie Lobeck, Administrator, from Shriners Healthcare for Children-Twin Cities. Colliers MSP brokerage specialists have been hired to market the campus to potential buyers. Colliers MSP Vice President and Healthcare Services specialist Louis Suarez, in partnership with Investment Services expert, Vice President Jeff Budish will be leading the efforts to sell the property. 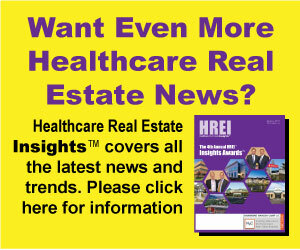 “The Twin Cities campus on East River Parkway is perfectly poised for healthcare repositioning, corporate campus, educational campus or multifamily housing development opportunities. We look forward to securing a buyer who will maximize the potential of this beautiful site” said Vice President Louis Suarez of Colliers MSP.